WATCH: Teaser for DC Universe’s Doom Patrol gives us… Cyborg! 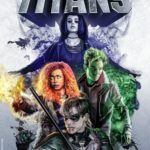 Titans renewed for second season, Matt Bomer joins Doom Patrol and Robotman looks great! Alan Tudyk joins DC Universe’s Doom Patrol… plus get your first look at the characters! Once this service kicks off in September there’ll be no reason to leave the house. Ever. 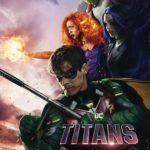 WATCH: DC Universe reveals plans fo their streaming service and awesome look at Titans’ Robin! Holy crap! Doom Patrol are joining the live-action Teen Titans series! DC’s Legends of Tomorrow will set up… Doom Patrol!!! Who knows who or what else is out there in the DC universe?